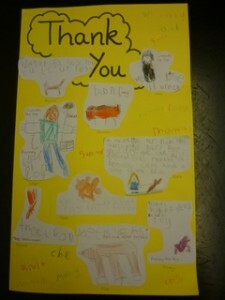 Thank you for thanking us – we receive some wonderful thank you notes every week and it makes us proud of what we do. We would like to thank the lady Vet who was on duty this weekend 09/10 January when we needed some advice concerning Sally who is a much loved elderly labrador/collie cross. The advice and help we were given was very helpful and much appreciated and we are pleased to report that Sally seems to be recovering well. The follow up call this morning was really kind and we would like to thank you so much for being so caring and thoughtful and most of all for putting our minds at rest. 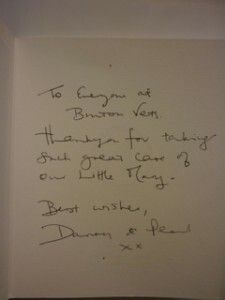 With kind regards, Caroline and Doug Roberts (Sally’s Guardians). 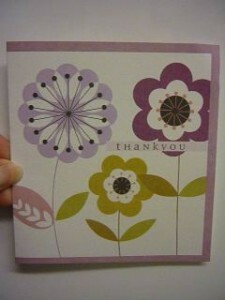 Great service: Friendly, professional and with excellent advice. We were seen promptly and greatly reassured. Would recommend this practice. Great people who really care- without doubt you saved Muffins life. Have been coming for years and always treated like one of the family. Bruton vets is a wonderful place. The staff are friendly and understanding and our pets feel happy to come here-it feels homely and not clinical. I would wholeheartedly recommend it. 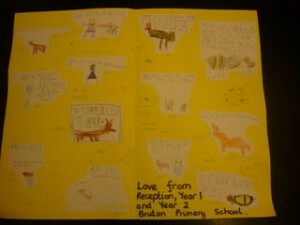 Our vet Charlotte visited Bruton Primary School to provide a small talk to the year 1 and year 2 children on animals and what being a vet was like. 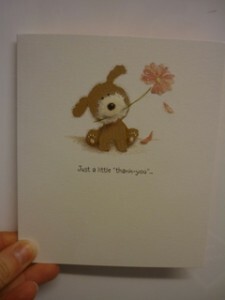 A lovely card from from our clients after having to have their 5 week old puppy operated on and hospitalised with us. 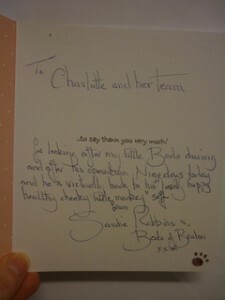 A lovely card from one of our clients after a routine castration of her little dog. 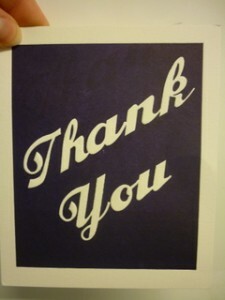 A lovely card from one of our clients, who’s pet needed emergency out of hours treatment. Alice the Tabby has visited Bruton Vets numerous times over the years. Everyone knows her well! The staff are always friendly and helpful. 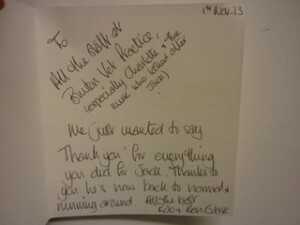 The vets are caring and always go the extra mile, researching the next step. We know they will always do the very best for her. This is a very caring practice with lovely staff. My Burmese is quite relaxed about coming for check ups and I am so glad his dental problems have been spotted and addressed. Outstanding treatment for our 1 year old puppy dog, everything was explained during her treatment, care and attention to detail was never missed. Highly recommend.